The United States may be on the cusp of electing, for the first time ever, a Woman President. This time eight years ago, in Washington and across the country, I remember an intoxicating excitement in the air – the very possibility that America might elect a black President. Sadly, the fact that Hillary Clinton might become the first woman to shatter this glass ceiling has become submerged in a campaign of unprecedented abuse and mutual accusations. In part Mrs Clinton can blame herself that this historic moment is being so under played. The fact that humanity could be about to secure the eighth woman leader in the world, joining those leading countries from Namibia and Burma, to Britain and Germany is drowned beneath the reality that Mrs Clinton’s character is a very much bigger issue than that of her gender. Mostly this is because she has been the victim of endless attacks by Republican rivals over decades, and by endless hours of Fox News and conservative radio shows’ discussion of every aspect of her life. All of this has formed the foundation of Donald Trump’s campaign which is almost entirely built on hatred of her. However, her questionable activity around corporate donors to the Clinton Foundation while she was Secretary of State is a justifiable area of concern. Her charges for public speaking after stepping down as Secretary likewise. Her email server too has its own strange contribution in questioning her integrity in power. It doesn’t justify the hatred and the looseness with the truth, but it does little to stop it. Yet in many senses, there is little doubt that at least Hillary Clinton will know how the Presidency works, she understands politics, and she has proved she can function in high office. Mr Trump’s triumph, if it comes, will be to have defied conventional politics and prevailed as the first candidate to have become President without ever having contested any political election before. 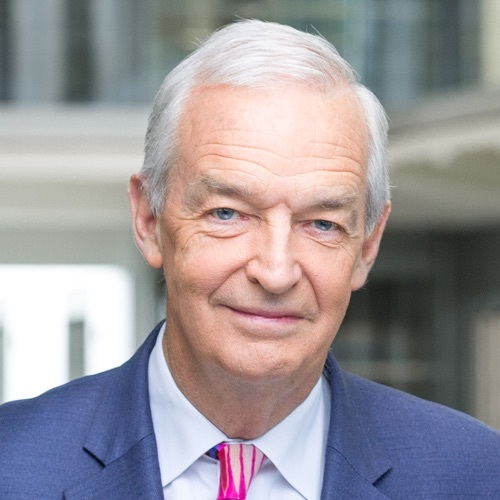 However, he has consistently told ‘terminological inexactitudes’ in the course of the campaign; he has also helped establish a term for a new era in public life; ‘post truth’. I can remember no Presidential candidate in the past 40 years who has deployed a sentence that has included the words ‘tell him to go f*** himself’; or ‘knock the crap out of him’. Trump is hourly abusive not only of his opponent an her team –‘crooked Hillary ‘, or ‘Criminal Hillary’. He is as abusive of the media – ‘they lie; they are bad people; some of the most dishonest people in America’; and more. He dismisses recordings of his boasts of possible sexual assault as ‘locker room talk.’ He has made the most important election campaign in the world x-rated, to be shielded from children by anxious parents. Nor have any of us heard a candidate for the Presidency say that he will not accept the outcome if he losers, because it will have been ‘rigged’. Trump has also used disgraceful advertising. Most recently within a campaign ad he throws up a row of three well known people in finance. Janet Yellen, Chair of the Fed, Lloyd Blankfein, head of Goldman Sachs, and the Billionaire George Soros. It hasn’t escaped peoples notice that all three are Jewish – a whiff of antisemitism? Senator Al Franken, has asked if that is that why Donald Trump selected these particular three people for an ad in which he talks of what’s wrong with America. Finally whoever become President becomes Commander-in-Chief. Mr Trump has spoken of the entire US Military leadership of the US presence in the fight for Mosul today, as losers. It’s not a happy moment for America; it is demeaned by this contest and people here are desperate for it to end. However, it makes them think the more of the person who will leave the White House to make way for whoever is elected on Tuesday. So Trump nailed it. There are a lot of overriding factors on how he achieved it one being that Mrs Clinton relied to much on the ‘celeb factor’. They may have a strong fan base who love the bones of these super rich mega stars but it mean nothing when compared to the mass vote. If the truth be known most people can’t stand the sight of them, especially when they start interfering into their political affairs. Our referendum was run on the same lines with a barrage of celebs singing the praises for the remain camp. Worst mega rich celeb to put his fatal oar in was Tony Blair. The remain brigade were sailing on the crest of a wave until Mr Blair stepped in to give them his full support. From then on it was downhill all the way – the Blair Effect cost remain dearly – I’d say a good two or three million votes – maybe more. Hacks, lies, and videotape. Cue theme music from Rocky. America has a “bigly” decision to make, and may make the “stupidest” decision in its history. Trump is a businessman, a media mogul, a celebrity, an author, and I read somewhere, a ‘politician’. If he loses come November 9th, I suspect he is not going to leave peacefully. He’ll more likely hang around like chlorine gas on a windless day, and not take that long golf-playing holiday he talked about. Having enjoyed the adulation of so many for almost eighteen months, it’s hard to see Trump considering retirement anytime soon. What I’ve seen has been tantamount to hero-worship. In this election, there’s no place, but first place. If your name is ostentatiously splashed on planes, hotels, a university, a vineyard, an ocean condominium resort in Mexico (abandoned for legal reasons) etc, I imagine you’ll be pretty hard to forget. So, it’s not difficult to see how Trump might feel invincible. Clinton is a Yale law graduate, an activist, a member of the Clinton Foundation, and has had a successful life in politics. If she loses come November 9th it will be the lowest point of her career. It won’t just be a matter of losing the election, but losing the election to Trump. Every politician has skeletons in the cupboard. Clinton has two obvious ones, the infamous emails, and the shadow of her husband. Despite not being a convicted criminal, or responsible for her husband’s perjury and obstruction of justice, these things hurt her campaign. Unhelpful comments such as, ‘I just don’t like her’ and ‘I just don’t trust her’, have reverberated continually; ‘I love Trump’ and ‘we love Trump’ is chanted like a mantra. But when people are asked “why?” the reply is often a smile, a shrug, and repetition. No explanation. Most shocking, was hearing some supporters of Bernie Sanders, say they were now going to vote for Trump! I find this totally illogical. It is one thing to not like Clinton, but quite another to vote for Trump. Trump has gone from one verbal eruption to the next. His explosivity has known no limits. The impulsive, knee-jerk 3a.m. tweets, his recklessness, indiscretion, lewdness, it’s all there. But, it was too late. His first tweet spoke volumes about the man. His hot-headedness is self-evident, but the ‘COMPASSION’ in his second tweet must be genuine because it’s written in upper case. Trump used the Orange State incident, to knowingly endanger the safety of non-GOP supporters; to stoke his campaign. How many times has Trump stated that he doesn’t know what’s going on? Time and again, he has stood in front of a vast crowd, admitted he knows nothing, and received gargantuan applause. He has disciples that show him unconditional love. ‘Victory for Trump would be a gift to humanity. But if Hillary Clinton wins she will be the last US president ever.’ Hmm. I suppose this means Clinton is a “nasty woman”, but my Russian isn’t great. I cannot wait for November 8th, but I’m terrified of November 9th.